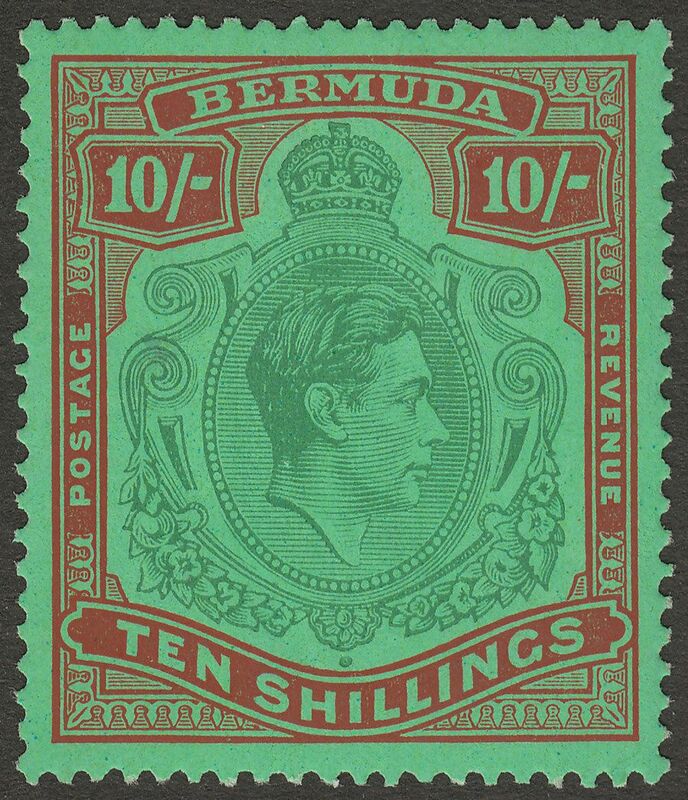 King George VI 10sh green and deep lake on pale emerald chalky paper, perforation 14 mint. The first printing. Typical gum toning. 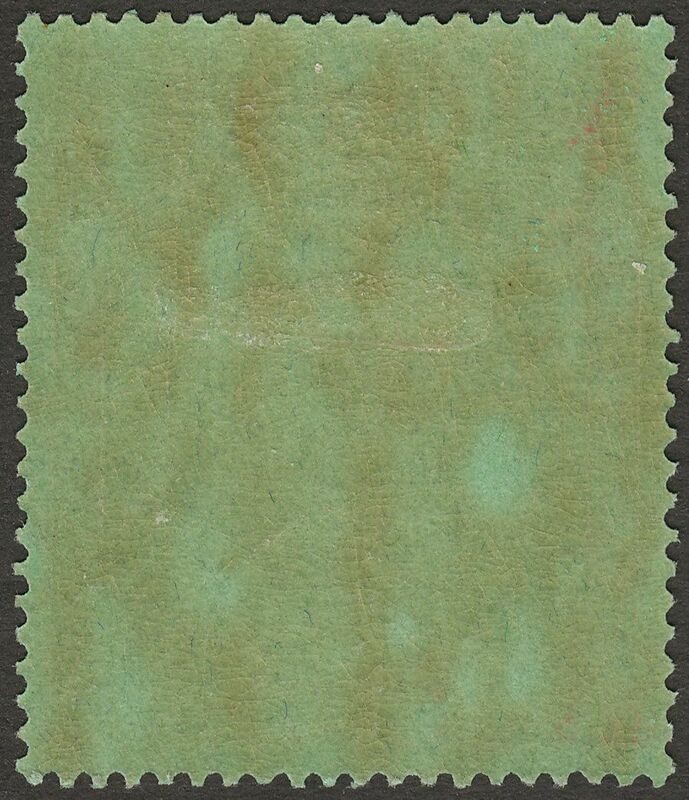 Lightly mounted mint with hinge remnant.